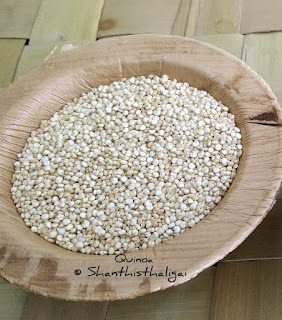 Unlike regular adai, this quinoa adai is very light on stomach and easily digestible. Adding drumstick leaves make this recipe highly nutritive. Separate drumstick leaves from the stem, wash well, keep aside. Soak quinoa separately. Soak dhals alongwith red chillies separately for 2 hours. Drain the water. 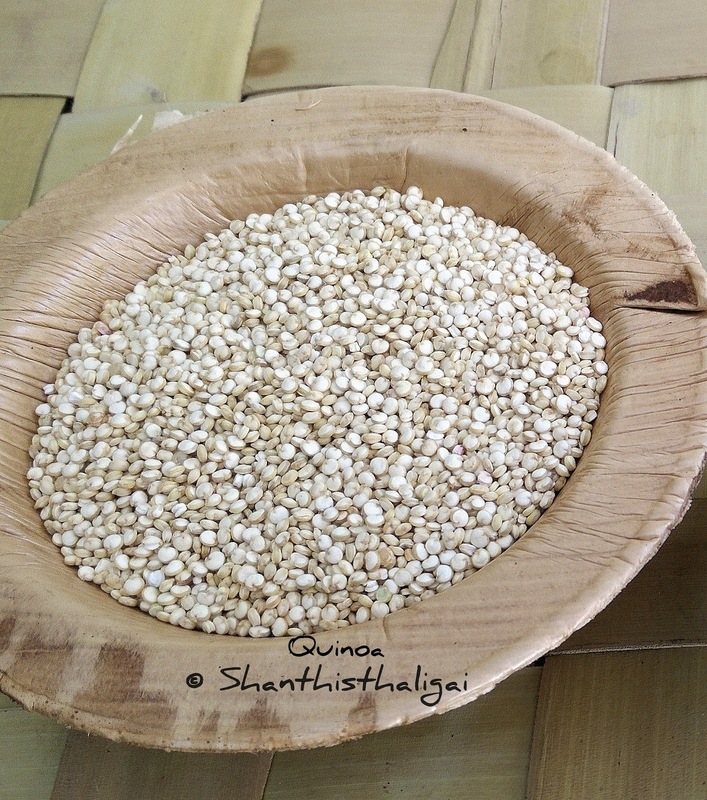 Grind quinoa coarsely, add soaked dhals and grind further to a thick coarse paste, sprinkling little water alongwith curry leaves, hing. Add salt and drumstick leaves, mix well. The batter should be slightly thicker and coarse. In a pan, pour the batter and spread it from centre. Drizzle oil on sides. Cook until golden brown and crisp and flip to the other side. Goes well with butter and avial( Aviyal recipe is here). Serve hot with molagapodi, jaggery, tomato sauce or any chutney of your choice.